I suppose you can say it’s mac & cheese with broccoli, all grown up. When I was younger, like most children in America, there was some type of dish our parents would cook using carbohydrates loaded with cheese as a way to hide green vegetables… am I right? Fortunately, my family embraced healthy foods and were on the health conscious side, but that didn’t mean I wouldn’t eat “junk”. When I was a teenager learning to cook for myself, mac & cheese with broccoli was my go-to, it was easy, moderately healthy (or so I thought) and kept me feeling good enough to do activities I wanted to all day/night long. 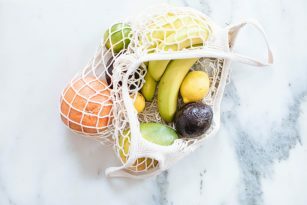 Fast forward like 10 years to the present moment, I’m living a dairy-free, gluten-free lifestyle, and one that’s plant-centric with an abundance of fruits, vegetables, nuts and seeds. So how does this classic cheesy carbohydrate-rich dish loaded with cheese fit into my lifestyle now? 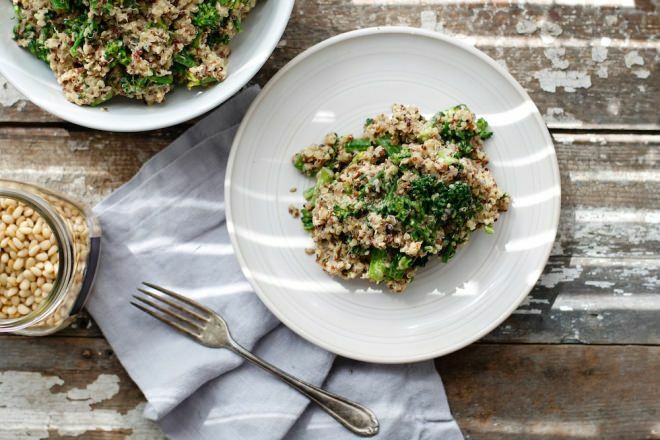 Introducing one of my favorite “comfort” foods, Cheezy Broccoli Quinoa Pilaf. I suppose you can say it’s mac & cheese with broccoli all grown up. Instead of refined wheat flour shaped into noodles as the base of the dish, it’s replaced with fiber and protein rich quinoa. 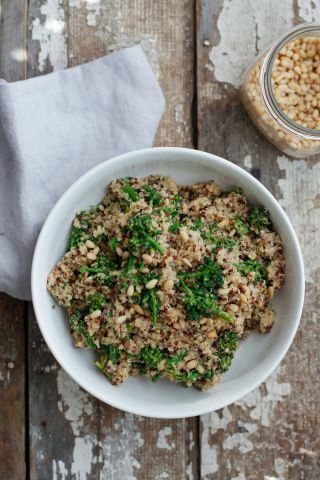 Quinoa is one of my favorite grains to enjoy solo as a side dish, for breakfast, in baked goods, and even dessert. I also highly recommend all of you to try out quinoa instead of rice or noodles for that matter to get more bang for your buck so to speak when we’re talking about caloric/nutrient density. Quinoa in comparison to noodles or pasta contains far more fiber and protein, not to mention the texture is amazing! It soaks up all of these delicious homemade cheezy sauce perfectly. Cheeze not cheese. The cheezy sauce is one that I could’ve devoted an entire blog post on, it’s a dairy-free “cheese” recipe that I’ve shared with my clients secretly for years and they LOVE IT! You’ll truly understand why this cheeze recipe deserves the title McKels Ultimate Cheeze Sauce after you’ve tried it. 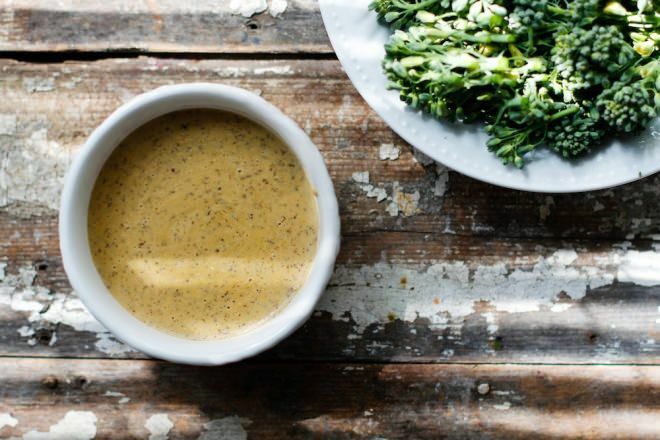 I use this cheeze sauce for dipping raw/roasted veggies, pouring over any grain/pasta, over fish/eggs, or in my Nourish Bowls and One Bowl Skillet Meals. It’s made entirely of my favorite vitamin B and protein rich protein in the plant-based lifestyle, nutritional yeast. I’ve talked at length about nutritional yeast and why I use it almost daily in other blog posts (I’ll give a link below where you can read more about it), but all in all, it’s the beez neez. Add ins | try adding protein rich chickpeas, hemp seeds, green peas, or any other type of protein you enjoy for even more of a boost. You can also get creative if you’re trying to serve this to picky vegetable eaters, by adding more veggies to it like red bell peppers, green peas, carrots, etc. This recipe is a PERFECT one to make on your batch cooking day for making quick and easy lunch or dinner meals at the snap of your fingers. You can literally reheat this in under 5 minutes, add a protein of your choice and a big ole’ salad on the side and there you have it- lunch or dinner in 15 minutes. Also be sure to check out my Meal Planning 101 with more tips on how to make this recipe work for the whole week for you or your family. T/F: A cheezy recipe that's healthy and loaded with B vitamins, fiber, and protein? So true! Cook 1 cup dry quinoa to 2 cups vegetable stock. Boil for at least 20 minutes, and fork to fluff. Yields about 3 cups of cooked quinoa or more. In the meantime while the quinoa is cooking, make the sauce. Set this sauce aside until quinoa is finished cooking. 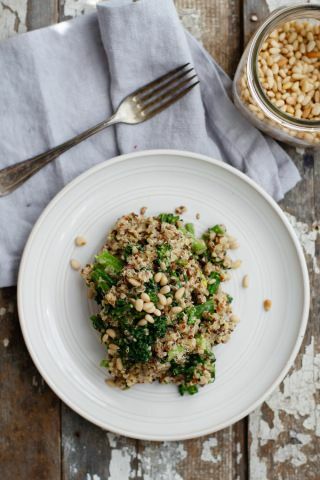 Pour McKels Ultimate Cheeze Sauce into the pot with the cooked quinoa, steamed broccoli, toasted/or raw pine nuts, and stir to combine the sauce with the broccoli and quinoa. You may add additional almond milk to thin the sauce a bit. 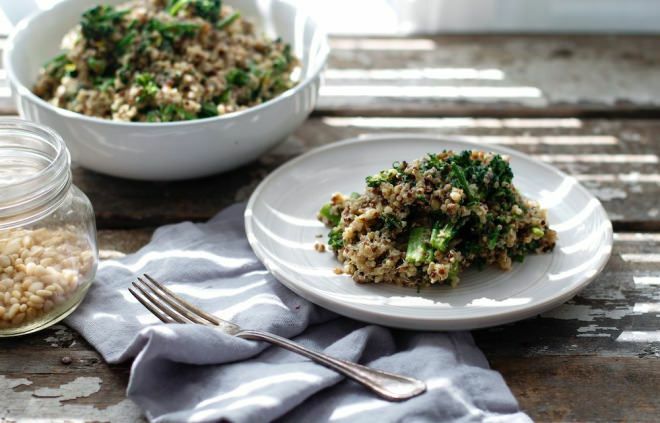 The goal result is a thick and creamy quinoa. Garnish with pine nuts and fresh black pepper. McKels vegan cheez sauce is the perfect addition to any entree or recipe you’d like to give a cheesy flavor to sans dairy. Combine all the ingredients for the sauce in a small saucepan at low/medium heat and stir until combined. Gradually start with 1/4 cup almond milk and gradually increase to the desired consistency- the goal is for it to be thick enough to cover a spoon but thin enough to stir easily. Remember the quinoa will absorb a lot of this liquid. Use over vegetables, quinoa, legumes, etc. 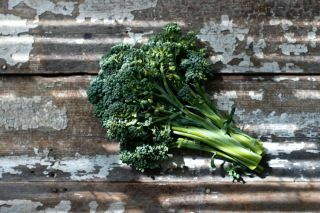 You may enjoy reading up on | nutrition and health benefits of Nutritional Yeast, Broccoli, and Quinoa. I hope you all enjoy this recipe and love it as much as I do! Was this type of recipe a “classic” one you enjoyed growing up or maybe still do?